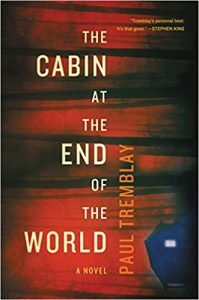 The Cabin at the End of the World, Paul Trem­blay (William Morrow, 978-0062679109, $26.99, 288pp, hc) June 2018. I’m not a fan of secluded countryside chalets where the 4G is patchy, there’s no wifi, and the closest neighbor is 20 minutes away. These places fill me with existential dread; every creak and whisper a possible axe-murderer out for an easy kill. 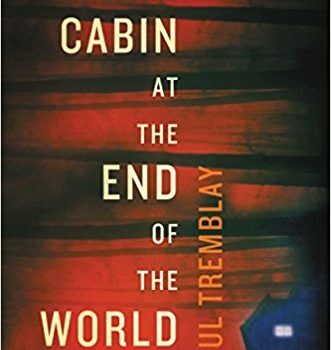 Paul Tremblay’s The Cabin at the End of the World plays directly into these innermost fears of isola­tion, but replaces the hockey-mask-wearing killer with dire threats of the apocalypse. After a brief siege – Eric and Andrew unsuc­cessfully blockading the front door and basement from Leonard and his three colleagues – and a short struggle that results in Eric hitting his head and suffering concussion, both parents are strapped to chairs. Leonard explains that while he doesn’t want to hurt them, sadly, one of Andrew, Eric, or Wen will need to willingly sacrifice themselves to save humanity from extinction. To prove his point, Leonard turns on the TV just as a tsunami wipes-out Cannon Beach on the coast of Portland. In recent years Paul Tremblay has explored themes of the supernatural through an opaque lens. 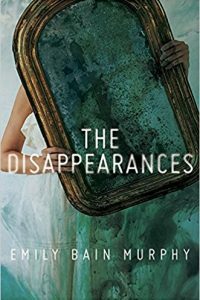 In his terrific 2015 novel, A Head Full of Ghosts, and in Disappearance At Devil’s Rock, published the following year, Tremblay hints at the otherworldly – demonic possession, ghosts and revenants – without ever fully committing to either a mundane or supernatural explanation. Tremblay employs the same tactic in The Cabin at the End of the World, albeit with one important difference. 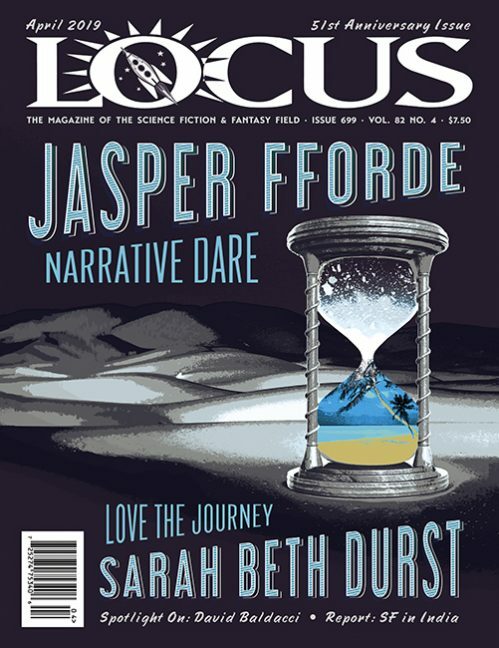 Whereas in the previous novels it’s left to the reader to decide whether what transpires is an account of the paranormal, in this latest book that question is levelled at Eric and Andrew. Is Leonard’s request that they sacrifice themselves the ravings of a lu­natic, or the divine message of a prophet? While the choice that faces Andrew and Eric drives the tension and drama of the novel, I struggled with the theological implications of Leonard’s ultimatum. I’m Jewish, and while I’m now agnostic, I still have strong views on the nature and character of God. Throughout the Old Testament God puts His followers through a series of trials, ostensibly to test their loyalty and faith. 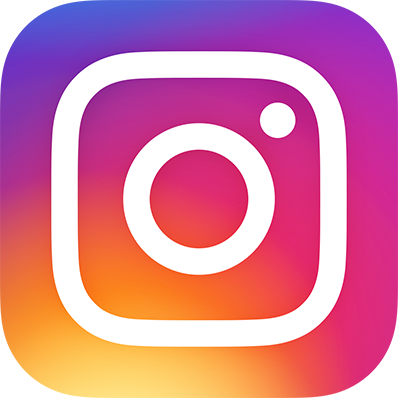 The decision that faces Andrew and Eric resembles the choice Abraham confronts when God asks that he sacrifice his son Isaac. If you know your Bible stories, Abraham acts without hesitation and would have killed Isaac if not for the intervention of an angel. For more than a thousand years, Rabbinical scholars have questioned why God asked Abraham to sacrifice his son, and moreover, why Abraham acquiesced. I don’t have space or the inclination to articulate these inter-generational debates between the Rabbis, but what’s clear from those discussions is that the Jewish mindset rejects self-sacrifice on behalf of God. Leonard never expresses who or what has told him that the human race faces extinction; I’m sure that’s a deliberate move on Tremblay’s part. But I can’t help but bring my own cultural baggage to the story, and as much as I tried, I couldn’t accept that a divine entity would allow an innocent – adult or child – to give their life for the sake of everyone else. To Tremblay’s credit, in the later part of the novel, Andrew does echo my concerns when he asks, “What kind of god or universe or whatever wants this, demands this?” But Andrew’s question, which I view as pivotal to the choice that he and Eric face, is never discussed or teased out further. I mainly wanted Eric – a man of faith, who has both struggled with Catholicism’s rejection of his sexuality identity and Andrew’s strident atheism – to reflect on what it means that a God who stayed the hand of Abraham and sacrificed His own son for our sins now requests that humanity, specifically Eric’s small family, pay that price. Is this a God still worth worshiping? But these aren’t doubts that Eric (or Tremblay) address. Instead, Eric finds himself growing increasingly convinced that Leon­ard speaks the truth, and that one of them needs to die. This line of thinking may serve the plot and the climax of the novel, but it means I never fully engaged with The Cabin at the End of the World.